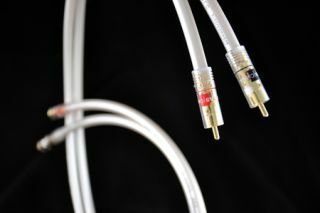 Atlas upgrades Equator cable with new plugs | What Hi-Fi? Atlas has upgraded its Equator stereo interconnect with a new plug design, naming the latest version the Equator MkIII and selling it for £75/metre pair. Incorporating the latest Integra RCA plugs used on the company's high-end Mavros and Asimi cables, the Equator MkII has an airtight "cold-weld" (or crimped) join between the conductor and the plug. This, claims Atlas, "maintains signal purity by removing the unwanted signal deterioration normally associated with solder joins". A gold-plated conjugate bracket system prevents the cable being compressed at any time during construction, and the outer shell of the plug is made of a new ABS (Acrylonitrile-butadiene-styrene) thermoplastic resin, which acts as an insulator and additional interference barrier. All Atlas cables are hand-made in Scotland, and the Equator MkIII is available now from Atlas dealers as a 1 metre pair, or in other lengths if required.